Lack of good and standardised Electronic Health Record (EHR) Graphical User Interfaces (GUI) can hinder the acceptance of ground-breaking medical devices devoted to healthcare professionals and / or patients. Usually, the GUIs are designed too late in the process, rather than early and iteratively throughout the development of the device. In addition, end-users should be involved at all stages, from framing the GUI to be developed, to testing and validating it in ‘real situations’. Standards permit the interoperability between systems using a common reference model. In this article we present the work done in the development of an EHR GUI for an innovative nanotelectronic-based biosensor technology for cardiovascular diseases diagnosis integrating standardised EHR information into the patient health profile. The challenge was ensuring that the Information Technology developments contributed to the effectiveness and acceptance of the device among medical community. 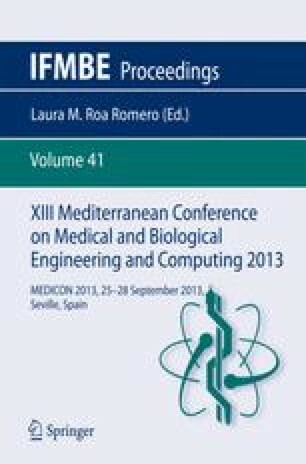 We have achieved this goal based on: (i) a close work with the biosensors developers, in order to gain a better understanding of technology needs; (ii) development of information systems that consider the connection and communication with already widespread hospital information systems using the European standard EN13606 to guarantee the usefulness of the gathered patient data; (iii) a User-Centred Design approach, involving doctors from the very start of the development, producing a more intuitive and acceptable tool for healthcare professionals.